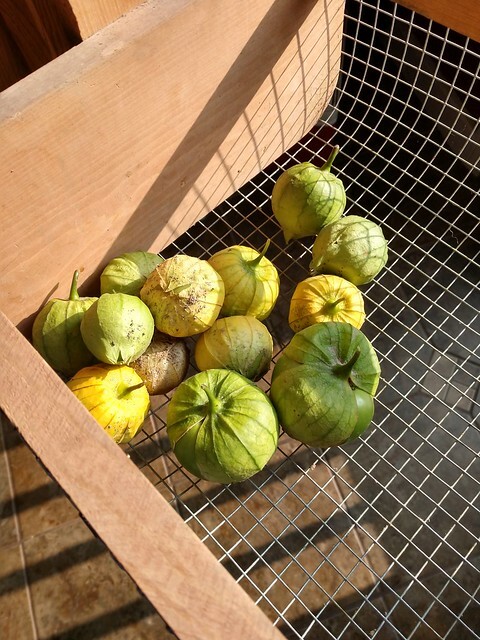 Sarah has been trying for the past few years to grow tomatillos in her garden in Illinois. This year, she finally has a success story–and a recipe–to share. 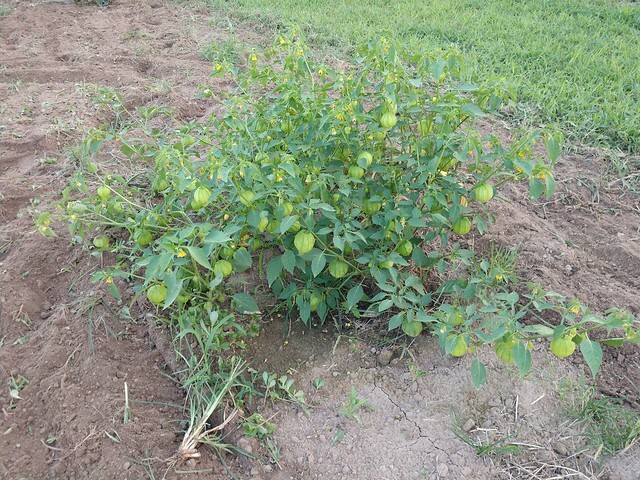 I have had an ongoing battle with trying to produce tomatillos. Two years ago I planted seeds directly into the garden and nothing broke through the ground. 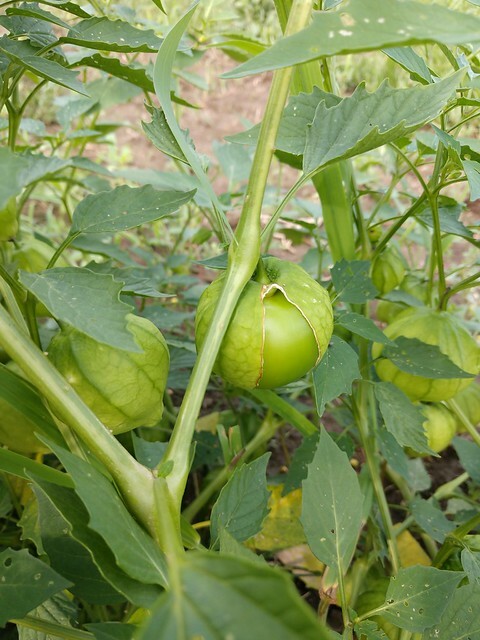 Last year, I grew one beautiful plant, but I was not aware that tomatillos need two separate plants for cross-pollination. This year I tried one more time. I made sure to plant several seeds and two came up. They grew very close together so they looked like one plant but I made very sure that there were two separate plants growing. I marked it clearly so no one accidentally clipped it with the tiller. And I waited. The plants looked so healthy and the telltale little lanterns started sprouting from almost every branch. This is exactly what I ended up with last year but the difference is, this year I could feel little spheres filling out inside the lanterns. I knew they were ready when they burst trough the husks. 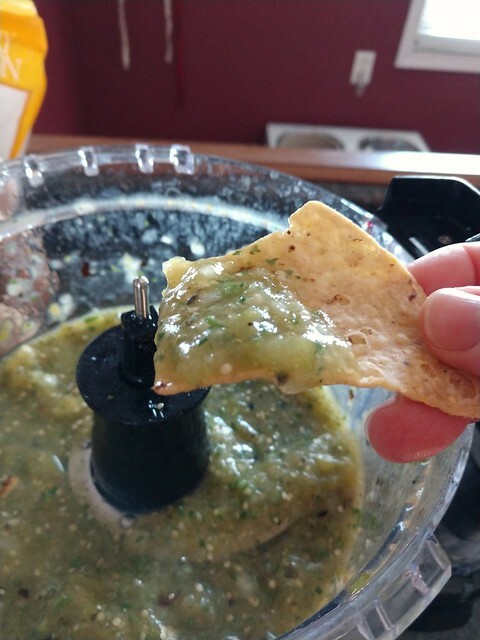 I found this recipe for Tomatillo Salsa Verde. 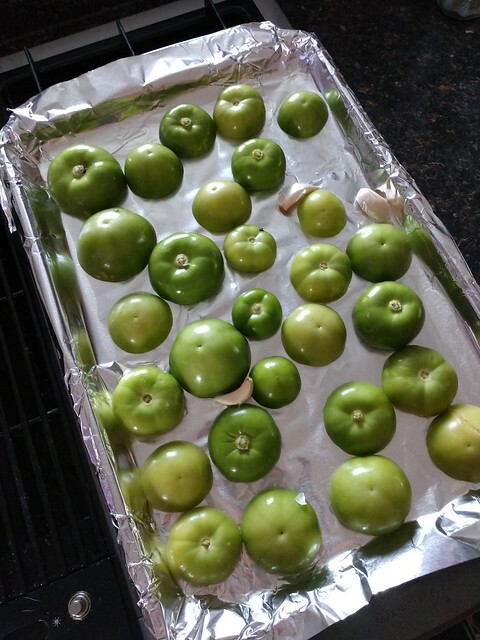 This author suggests a few different ways to either roast, boil or broil the tomatillos. I chose to broil them following her steps. 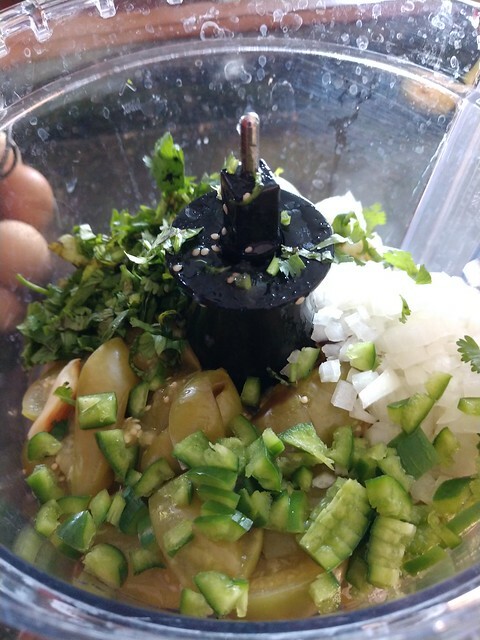 I then combined all of the ingredients in my food processor. In my first batch I used lemon juice instead of lime only because we didn’t have any on hand. The second time I used lime juice like the recipe suggested. Honestly, I really preferred the lemon juice version but both were great. Even though the garden overall has been disappointing this year, I feel accomplished by finally having a successful tomatillo harvest. They will become a staple in my garden planning from now on. 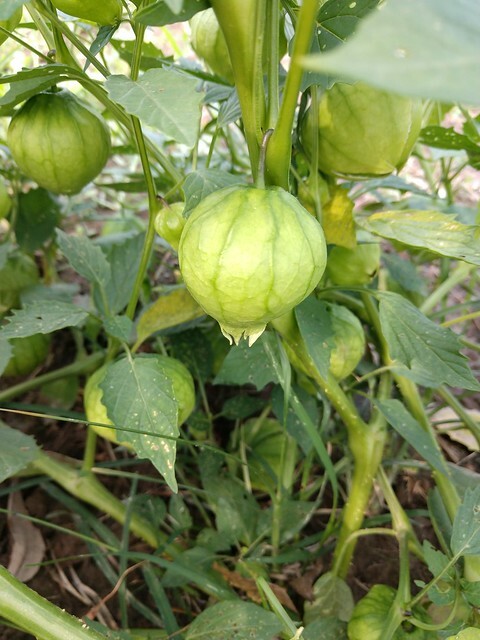 Anyone have experience with tomatillos? Or maybe a preferred recipe to use them with? 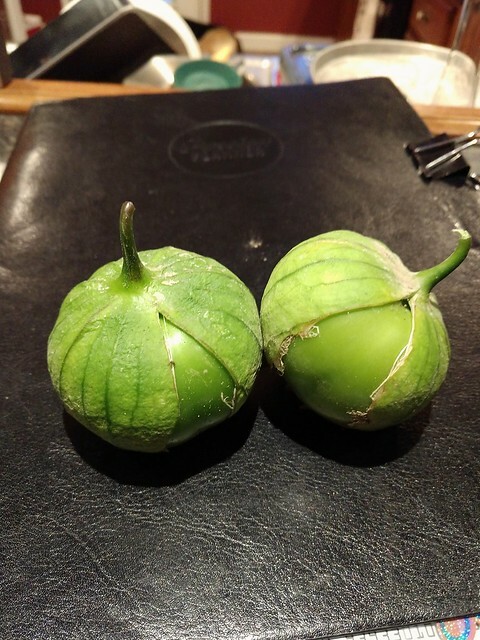 I have zero experience with tomatillos, whether growing, cooking or eating them. I wouldn’t mind trying though. Wanna send some of that salsa my way, Sarah? I also have no experience with them. But they sound delicious, and I’m happy you figured out the secret to growing them! The little lanterns are so cool. It is a fascinating plant. It was truly one of my highlights of the year to go check on it!